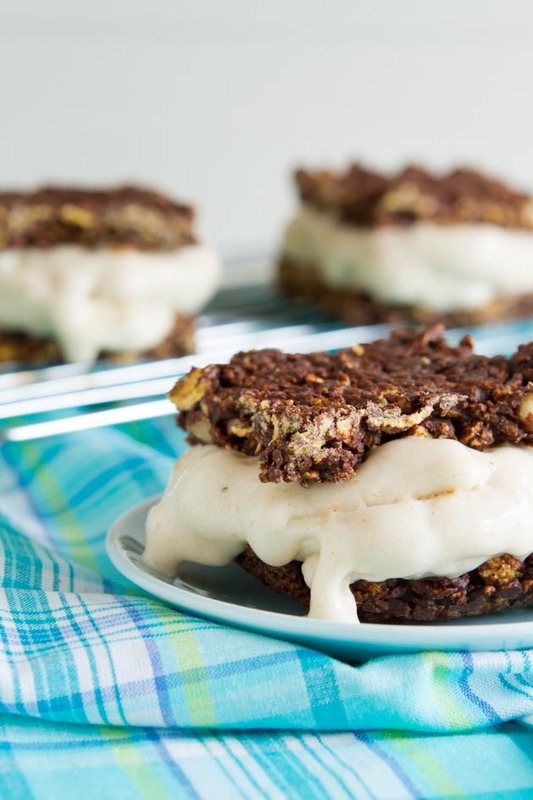 I’ve been going through an (unplanned) dessert recipe detox since the launch of my dessert cookbook earlier this year. Life has been busy—issues with construction, permits, fire hazards and the like. And our oven broke. So lately it’s been all about the quick and easy. And what’s quicker and easier than Banana ‘Scream? It takes about 2 minutes from start to finish, simple, and totally customizable to pretty much any diet (except a banana allergy). We tend to have browning bananas go to freezer heaven, and the lucky ones are found and made into dessert before they become a mass of ice crystals. If you didn’t already know, Betty Crocker does gluten-free cake, cookie, and brownie mixes now. Actually, these have been around for a while, but I’m honestly not a fan of Betty Crocker. Or cake mixes in general for that matter. But if I have to use a cake mix, I’m more than likely not going to eat it, so I usually go for Duncan Hines if it’s on sale or Pillsbury, whichever is cheaper. 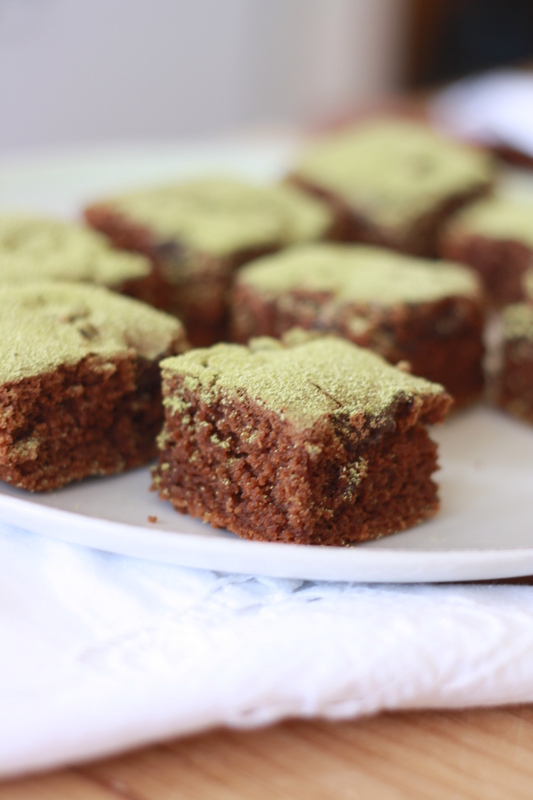 Brownies with a Hint of Matcha! Brownies, no doubt due to their high chocolate content, are generally loved by everyone. What is it about chocolate? Is it the ensuing relaxation from its high magnesium content, or just the mere addictive qualities attributed to chocolate? Probably, all of the above. The creative ways of using chocolate are endless.